Termotec is a company founded in 1995, dedicated and specialized in thermoplastic injection molding, and a market leader after more than 15 years of experience. From its beginnings Termotec has done a clear bet to satisfy and to carry out the most demanding and ambitious projects. Its continuous ability to adapt to rapid changes has given Termotec steady growth over time. 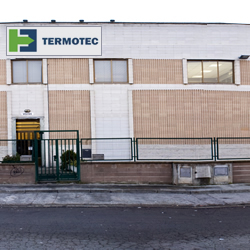 The company is strategically located in the Martorell's industrial area influence, a central area of communications and hot-bed of the principal automobile components companies, giving Termotec a key position as a supplier of the automobile first line auxiliary industry. Consolidated in the market after more than 15 years of experience.